Much like the endless legion of Skaven populating the bad guys of Warhammer: End Times - Vermintide, Fatshark Studios have been pumping out trailer after trailer to promote their new game. Maybe they intend to evoke the same feeling of being swallowed up by bipedal rat-men by drowning us all in videos of said Skaven ripping stuff up. Seriously. Every time I've tried to watch a trailer this week, it's been nothing but rat-folk trying to murder everybody. Intro cinematics might not enjoy the same frequency they once had, but I can always appreciate CGI fantasy people blowing up bad guys. I did not know that Skaven ate rats. The concept was initially unsettling, but us human beings will routinely consume entire families of Gingerbread men, so I guess it's probably okay. Next up, Fatshark had exactly eight minutes worth of beans to spill about Vermintide, so they released an official game overview. I'm always a sucker for listening to people talk about their own approach to game design, especially when wading knee deep in a pool of rat gore. The overview was going really well until the narrator cracked a joke. Everyone knew where it was headed, but we could do nothing to stop it as the phrase "deadly game of cat... and rat," came out of his mouth. Now I just don't know what to believe anymore. When you think about the vast, decades-long universe of Warhammer, Skaven are so rarely the ultimate bad guys. Usually the forces of Chaos are wrecking house. Sometimes it's the Greenskins causing a ruckus. 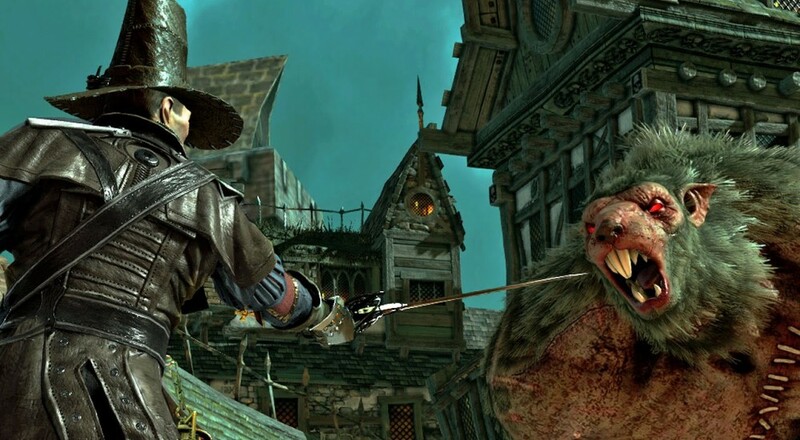 With Vermintide, the Skaven finally get the spotlight. Of course, this particular spotlight means that most of them will be sliced into Skaven ceviche, but at least they get some attention.